50% cotton / 50% polyester Champion Eco fabric. Pullover hooded sweatshirt featuring screenprinted UMD graphics. Drawstring hood and front pouch pocket. Champion's Eco fabric is made from 100% recycled PET bottles. The Champion "Eco" collection is future friendly and keeps nearly 11 million plastic bottles out of landfills. 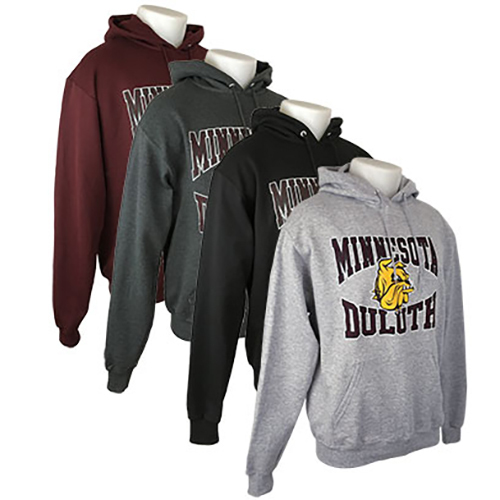 Please select option for Minnesota Duluth Bulldog Hood by Champion.